B3107 Silver Street (Part), Bradford on Avon; from its junction with A363 Market Street to its junction with Whiteheads Lane. To enable: Barden network engineering to carry out cabling works on behalf of Openreach. Alternative route: via B3107 (unaffected length) – B3109 – A363 and vice versa. This Order will come into operation on 06 February 2019 and the closure will be required until 08 February 2019. It is anticipated that the works will take the stated duration to complete depending upon weather conditions. 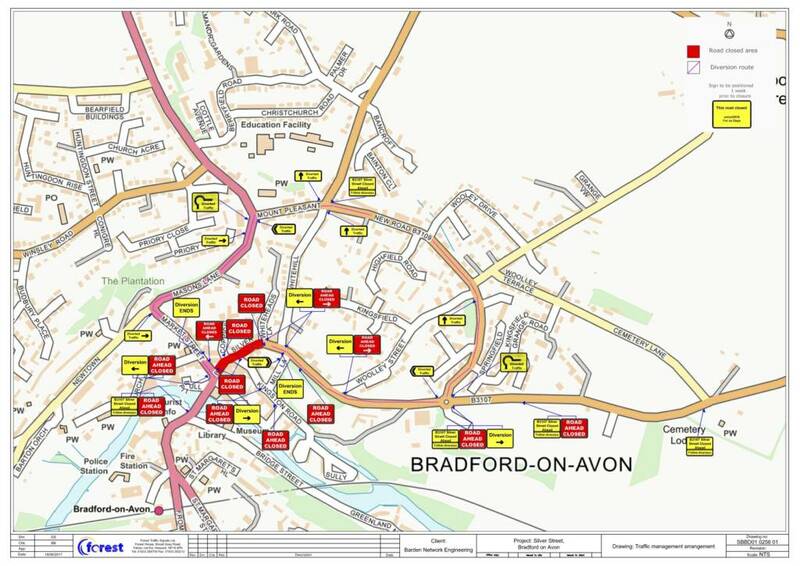 Access will be maintained for residents and businesses where possible, although delays are likely due to the nature of the works. The Order will have a maximum duration of 18 months. For further information please contact Gregg Sullivan (Barden Network) on 01633 284700.